Today sees the World Cup entering matchday number two as host Russia takes on Egypt tonight. First, though, it is up to the least entertaining group of all to open this afternoon: Colombia, Japan, Poland, and Senegal. Not really cracking normally but you never know. You would assume that the Russians check the planes before teams are transported from one host city to the other. 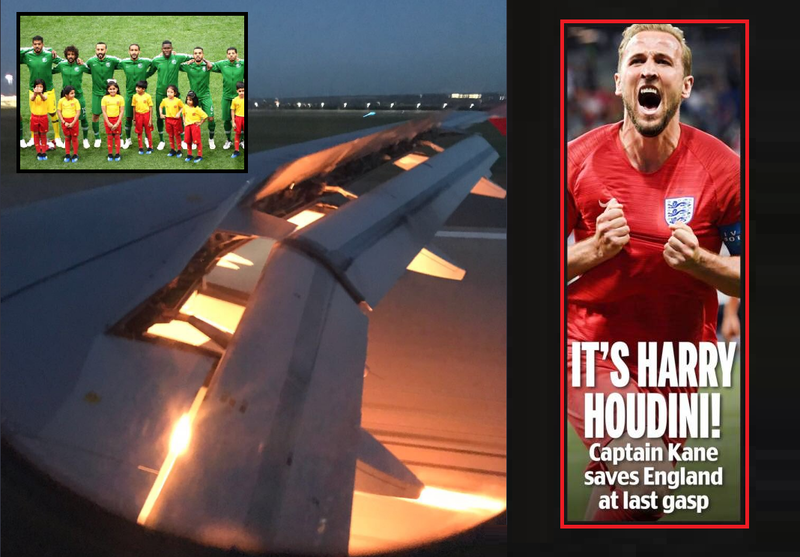 Apparently not in the case of the Saudi’s (who have soundly beaten in their opener against hosts Russia by 5-0) that saw the plane’s engine catch fire mid-flight on their way to Rostov. Luckily the aircraft was able to land safely afterward. The Saudi team plays their second match against Uruguay tomorrow and will be the first country out of the tournament if it loses. The evening match yesterday saw England, the team whose press for once did not propel it to World Champion candidates, take on Tunisia, the highest ranked African nation present at the tournament. The English scored after three minutes already but Tunisia leveled before the half through a penalty. In the second period, the Tunisians closed the pitch down well whilst the English tried their luck through the center, but to no avail. As everyone had already made their peace with a 1-1 draw between these teams, it was England captain Harry Kane who headed in a late minute winner in stoppage time. England plays Panama in their next game. In the other match of the group, Belgium won 3-0 against the Central Americans. The stoppage time misfortune thus continues for the African teams at this World Cup: first Egypt saw Uruguay beat them in overtime, the day after that Morocco got the same treatment from Iran and yesterday Tunisia lost in the 91st minute.